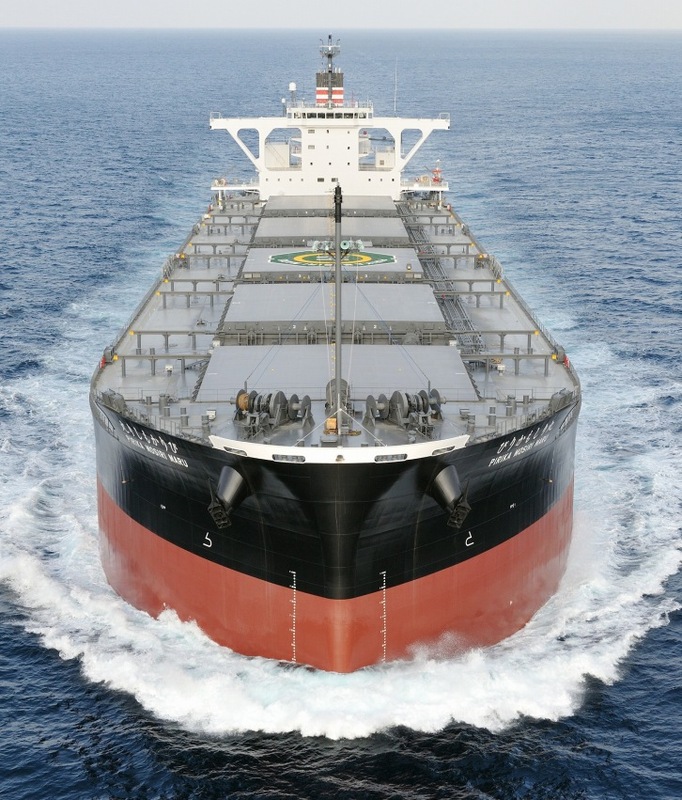 On January 23, a new coal carrier Pirika Mosiri Maru that NYK will own and operate to transport coal for Hokkaido Electric Power Co. Inc. (HEPCO), was delivered at Oshima Shipbuilding Co. Ltd. in Saikai city, Nagasaki prefecture, and a delivery ceremony was held on the same day. The event was attended by Akihiko Mayumi, president and director of HEPCO and NYK president Tadaaki Naito, among others. Pirika Mosiri Maru, as the third generation ship, will take on the mission that has been handed down from the first-generation vessel named Sapporo Maru which was delivered in 1984 as HEPCO’s first coal ship, and the second ship named Shin Sapporo Maru which was delivered in 2002 and played an important role by transporting coal for the company until recently. 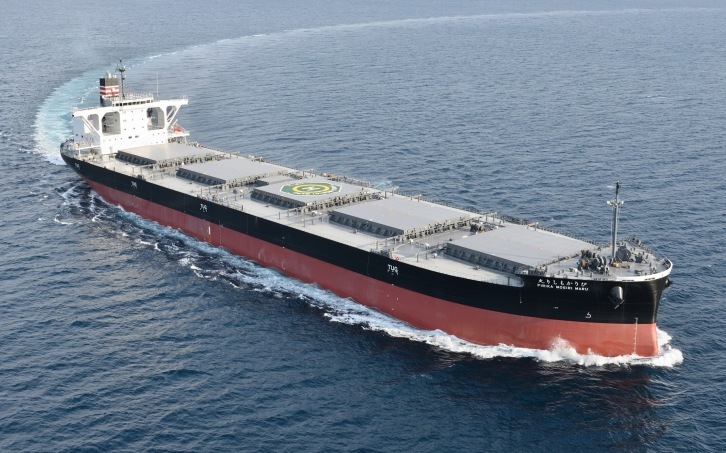 The new ship, named after Japan’s indigenous Ainu language*, is registered in Tomakomai port of Hokkaido and will be assigned to transport coal from Australia and Indonesia to the Tomato-Atsuma Coal Power Station of HEPCO 's thermal power plant. Pirika Mosiri Maru is equipped with the binary cycle power generation system unit produced for ships**, an innovative system that utilizes exhaust heat from engine exhaust gas. The generated electric power will serve as auxiliary power and will reduce CO2 emissions by up to about 2 percent by decreasing fuel consumption. In accordance with its new medium-term management plan “Staying Ahead 2022 with Digitalization and Green,” the NYK Group aims to create sustainable value for the company and society, and continue its efforts to contribute to stable and economical transport of energy resources. Jointly developed by Kobe Steel, Ltd., Miura Co. Ltd., and Asahi Shipping Co. Ltd. and has received approval as “environmental equipment” from Japan’s ship classification society Nippon Kaiji Kyokai (ClassNK). *** This amount corresponds to the draft, the maximum distance between the surface of the water and the lowest point of the vessel when floating on water for the ship to be able to enter the east port of Tomakomai (Japan), where the ship will call. Coal carrier "Pirika Mosiri Maru". Image by NYK Line.